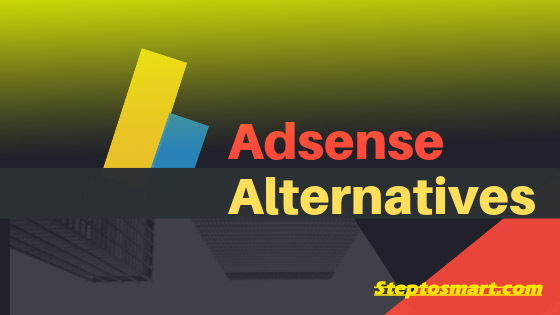 Adsense alternatives, today in this post we talk about it. Many bloggers have a problem how can they monetize his blog when Adsense doesn’t give approval for his blog. And if your blog domain age is less than 6 months then Google never gives approval to publishers for monetization. In this case, you have to find alternatives of Adsense to monetize your blog and earn through it. In this post, I told you about some genuine advertising options for publishers who give instant approval for your new blog even if your blog have minimum traffic. In many cases, you can use these options like Adsense disabled or not approve. Adsense is a very good option to monetize your blog, it even better than any other ad networks but there are too many limitations like if you did some spam and unwanted redirects, or unwanted click then maybe in some cases, your Adsense may be disabled for some time or permanently disabled. And many ad networks applies this policy but some have don’t. So keep reading this article and learn more new ways to monetize your blog or website. If you have Adsense approved blog, then you no need to any ad network to monetize your blog because Adsense is very good. and it is widely used by bloggers. Here you will get a high CPC rate according to the traffic. If in your blog are getting traffic from US, UK countries. Then you can earn up to 2$ for a click and if you have traffic from other countries like India, Japan, then you will also get a good amount for a click. But Adsense has very strict policies to get approval for website or blog. First of all of your site should be 6 months old. then you will be able to apply for Adsense otherwise they disapprove your request. The 2nd thing if you are clicking on your ad by yourself or someone clicking on your ad continuously then maybe it should make you in the trouble. In some cases, they disable your Adsense for weeks and if you did this again then they will disable your account permanently. Adsense have lots of good features, like auto ads and amp ads and it is managed by AI. so it is optimize your website and loads it first, then its load’s advertisements. so you will make good revenue through it. and this feature makes your website neet and clean. Adsense servers contextual ad for publishers and they pay money on time to our publishers. If your blog is 6 months old then you can try for it, even if you have less traffic. Before giving approval for your blog Adsense look your blog and content quality if it is good and useful for readers then they will give approval for your blog easily. Here I have some suggestions for obtaining instant approval for Adsense. Media.net one of the best alternative of Adsense for your blog. It is also a world 2nd best ad network. It is powered and serve by the Bing or Yahoo search engine. If you want to get approval for this ad network for your blog, then first of all your blog language should have in the English language. if you are using another language in your blog then media.net doesn’t give approval for blogs or websites. It serves contextual ads like links. If you want to use it, on your blog, then you have to paste the ad codes manually between your post or theme. Before applying for this ad network first of all on your blog must have traffic from US, UK. Because of their primary advertiser are from US, UK and Canada. So if on your website have huge traffic coming from there then, you should apply for it. After applying within the 24 hours. you will be get the confirmation email from media.net. it is one of the best Adsense alternative option for bloggers. The payout medium of media.net is PayPal, Payoneer for other countries and if you are an American citizen then you can directly transfer your payment on the bank. The minimum payment policy is 100$ if below of it, then you cant transfer your balance. If you don’t have Payoneer account then click now and get $30 as sign up reward. Propellers ads are the type of contextual ads network. If you want to use this program in your blog then here two types of options in the dashboard. One is the push notifications types advertisement and another is linked type. If in your blog have low traffic or your blog is new and want to earn some money from it. then you should go with this Adsense alternative. this is best for you. Here no minimum traffic requirement for approval. You can easily sign up in publisher account and put their verification code in your blog so they can verify your website and after applying, you will get approval within 24 hours. In it have referral program also so if you refer someone and he/she is sign up through your code, so you can also get some amount for it. But with it, my experience is not so good. But as they said their CPC rates are very good. so if your blog is new then you can try it once. Now we talk about, how they would pay us. In the dashboard, you have provided many withdraw option. here you can choose in which way you want to transfer your amount. Here too many options are available like Payoneer, PayPal, wire transfer, Skrill, etc. 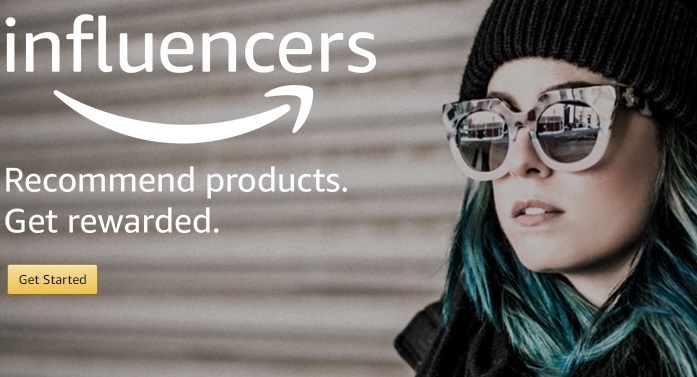 Amazon is the type of affiliate program. Here you can easily and instantly get approval after applying for an affiliate program. But there is a big problem if your website is related to some product or technology review related, then you can generate money from it. But if you know, how to get conversation by the magics of words. then surely it is a big platform for you. If you are promoting fashion brands then here you can get up to 10% commission and if you promote technology related gadgets then confession is 4% only. If we talk about payment options then they pay you directly in your bank account. And the minimum payment is 1000 RS if you are Indian. Yes, Facebook also offers ads, but it works some other way. so read carefully. If you have a blog and you want to monetize it by facebook ads so first of all, you have to connect your website with the facebook page and try to get approval for an instant article. To want approval for the instant article, first of all, you have to go on that page which is connected to the instant article. Now go to the publisher option and click on it. Now choose the right side option of an instant article and click on it. Here you have to put your website domain and verify your domain by putting HTML code on your website. Now in the second RSS option put your website ‘rss’ domain address. After that, you can add a logo and banner according to the size which is given. Now submit for approval. You will get the message within the 7 days about your status. If your account is approved, then you publish any article on your blog, it’s automatically added in your instant article and you can directly share your link on the facebook page. Now we talk about how they pay us. In it have two payments options, first is you can get paid by PayPal or second option is directly to withdraw your money in your bank. Taboola is one of the finest ad networks in the world. Here you can earn very high amount but there are very high requirements to get approval for the website. If you want to get approval for Taboola ad network then first of all on your website traffic must be 500,000 visitors per month. If you don’t have that much traffic then don’t apply for it otherwise your site will be disapproved. If we talk about ad types then they serve content sponsored ads links ads and video ads. And here you can get maximum 2$ for a click. It is a very good ad network. You will ever see on the news website. They also use this ad network to maximize its revenue. Now let’s talk about how can they pay us. So, if you get approval from him and started making money then in the withdraw option you can get direct bank transfer, and by PayPal. It is the one of trusted ad network by the publisher and news agencies. If you will get approval to it. then I am sure here you can generate a huge amount in the month. In this post, we have learned about Adsense alternative for blog or website. In this post, I have tried to explain genuine ad programs for bloggers. through these ways, bloggers can monetize his blog and earn some money. from all of the above ad networks, the best Adsense alternative is media.net in my opinion. It is very impressive and its very good CPC rates. If you like this information then share with your blogger’s friends who need this to know. If you want to give some suggestions please comment below.